Botswana clubs have recently opted out of African club competition, their lack of competitiveness and the huge costs associated with travel putting them off, but this might be a result that changes that view. It is certainly a scoreline that turned heads across Africa, with Al-Merrikh, regular visitors to the Champions League group stages in recent years, now facing the very real possibility of an early exit. Kavazovic speaks of the club as a 'project', something that is constantly being worked on to improve, and whatever his formula, he is certainly getting something right. The club won the Botswana Premier League by eight points last season and hold a handy six-point lead at the top of the table in the 2017/18 campaign. There team is a mixture of youth and experience, with the evergreen Joel Mogorosi still a strong performer along with the likes of captain Maano Ditshupo, Lemponye Tshireletso and the mercurial Segolame Boy. The latter, along with Mosha Gaolaolwe and Edwin Moalosi, found the back of the net on Saturday in a dominant display that suggests Rollers are a team that could make an impact on the continent. "Township Rollers is not just a football club anymore; it is a project; myself, the club president and the players are working on a long term plan of turning this into a football giant that competes in the continent," Kavazovic told the club's website after the game. "Unfortunately, in Botswana football sometimes people only think of the three points of a match, and may not be patient and panic," he added. "We may not win the league, the Mascom Top 8 or make to the group stage of the Champions League; but we are on the way to becoming one of the giants of football, if not in Africa at least in Southern Africa. "Today we showed that; we did not just beat the team ranked fifth in Africa, we outplayed them, we showed quality in the level of play, the tactical discipline, the defensive play, the transition, the ball possession and the attack." Ditshupo knows what will await them in the return in Omdurman, and expects a heavy backlash from the Sudanese side. 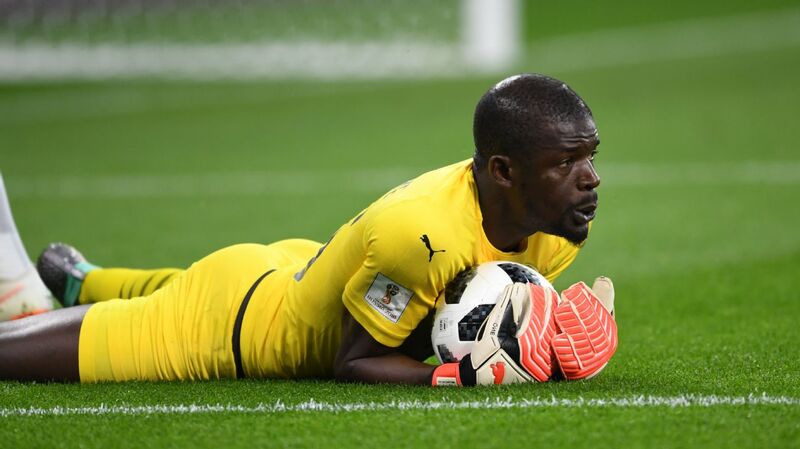 "We were playing against one of the top teams in Africa, and although the job is not complete, we have placed ourselves in a very good position," he said. "We wanted to get the goals at home and prevent them from getting the away goal and we did just that. But we know that this is not the first time that Al-Merrikh has conceded goals away from home, and we know they normally play an attacking game at home, so we know that this is not over. "But we are very happy to have got the three-goal lead." Rollers, the most successful side in Botswana football history with 14 domestic league titles, have never been to the pool stages of either African club competition, coming closest in the Confederation Cup in 2016 when they reached the third round. They were suspended by the Confederation of African Football in 2011 after they withdrew from the Champions League due to financial constraints. However, the club is in a much healthier position under majority owner Jagdish Shah, and that is starting to be reflected on the pitch. They were able to take advantage of a Al-Merrikh side in some disarray, with a number of players left at home and a new coach in Mahomed Abdalla, who was in charge for his first game. "I blame my defence for the first two goals that Rollers scored," Abdalla told reporters. "Technically our opponents were good. They dominated on counter attacks, played well and deserved a win. "Losing always puts players under pressure, so we will go and work hard," he concluded. "Not all my players were here and I believe those who are left home will make a difference next week."